A small black Nikon camera, waiting to be used, sits on the table of an old stone house about 20 kilometers outside of Cagli. 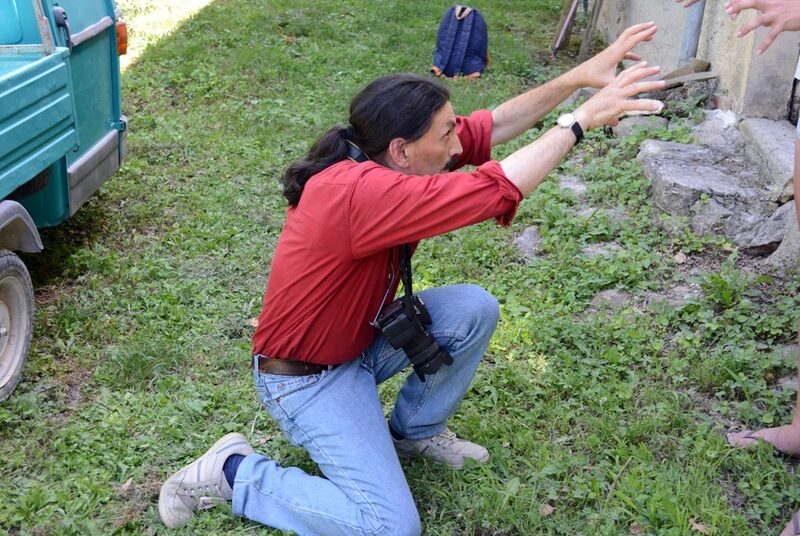 As Florindo “Flory” Rilli picks up the camera, an artist awakens. His hands delicately and methodically adjust the settings for the upcoming photo shoot. 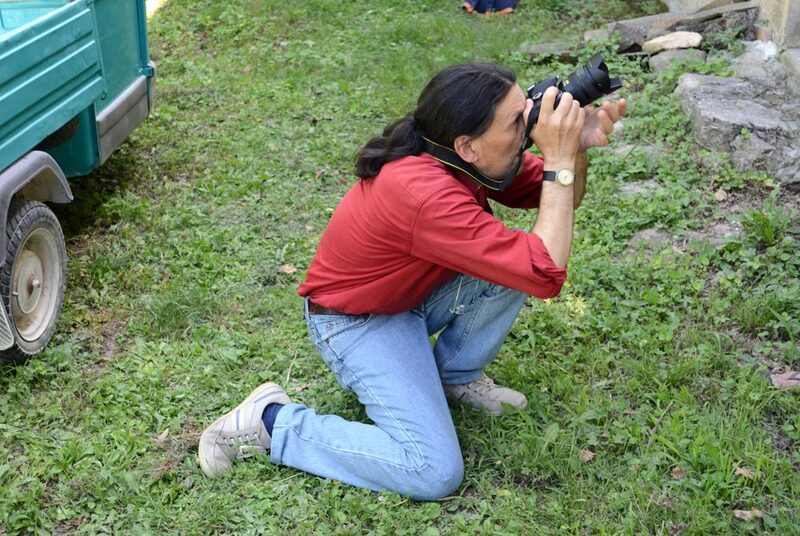 His creative mind and skillful eye scan the area; he is planning the best shot. 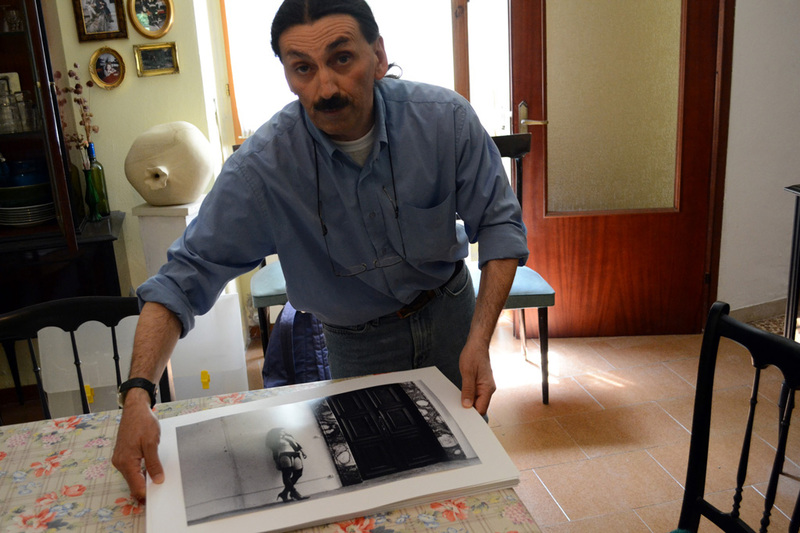 Flory was born in 1962 in Cagli, where he continues to live and work. He is a man of few words who cares for his elderly mother while doing odd jobs around the town to support himself. 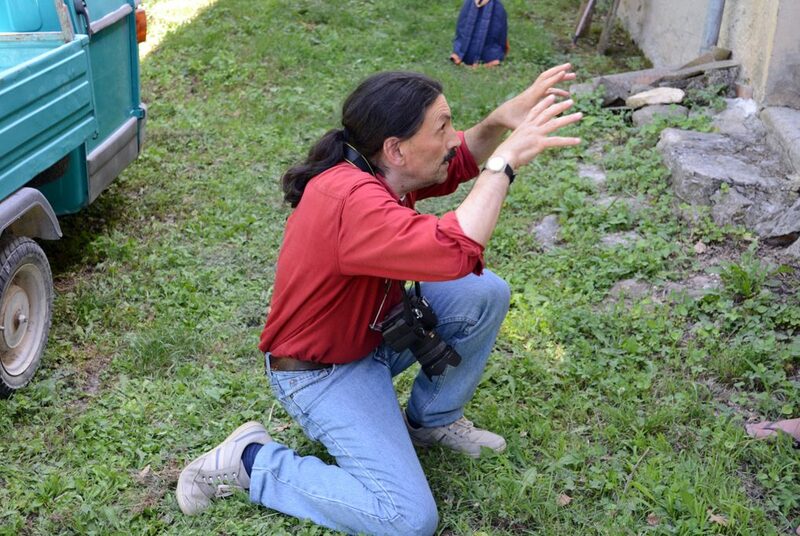 He leaves Cagli to show his photographs in galleries around the area and photograph different models. However, Cagli is home, so you will find him there most of the time. A self-taught photographer, Flory sees the world differently. His photographs look like pieces of museum art; he knows the best angles of his subjects and how to find their inner beauty. Flory says he has always been drawn to Dadaism and Surrealism. These styles taught him to make use of the symmetrical and architectural details surrounding him. He plays with shadows and lights, reflecting the artwork he is most drawn to. These styles are evident in his photographs. Flory slowly and proudly flips through his creations from past modeling sessions. As he does so, his eyes lighten, and his mouth crinkles a bit. His passion is evident. He shows photographs of a model covered only in glitter and another wearing nothing at all. Other photos display a model hidden behind a cluster of sunflowers. Only her eyes can be seen beneath the leaves. None of his pictures look the same; every model tells her story from her point of view just as much as Flory tells his from behind the camera lens. 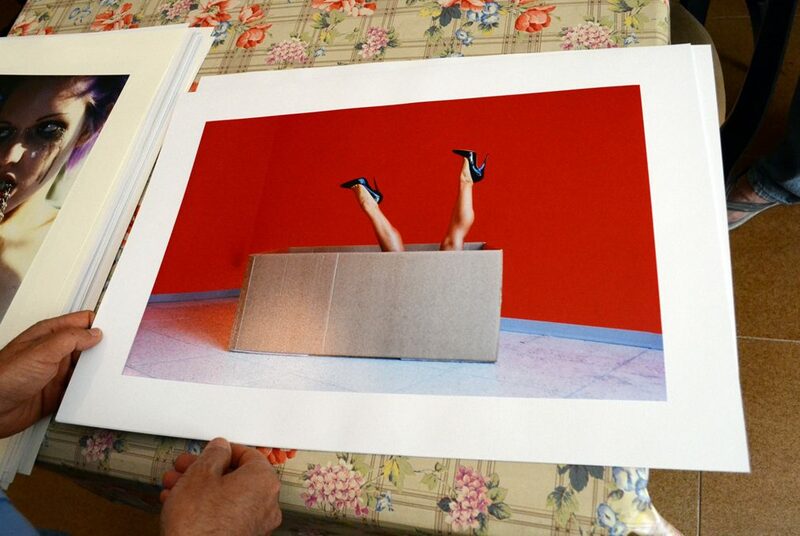 He points to a particular photograph displaying a woman in a cardboard box; only her legs show. She wears black stilettos. Flory explains that the box was the only prop he had, so he improvised. The shot looks planned rather than one born of circumstance. He captured the stunning beauty of her legs in a simple, flirty fashion. During his sessions, Flory rarely directs his models on what to wear or how to pose. He wants his subjects to express themselves in any way they feel comfortable. Still he is able to showcase the model in a way that achieves the best outcome. As Flory works, he seems to study and stop images in his mind. He continually searches for the best angle and pose. As much as Flory is watching the model, the model is watching him, waiting for her next move. Flory says he has always been attracted to abstract and unusual things. 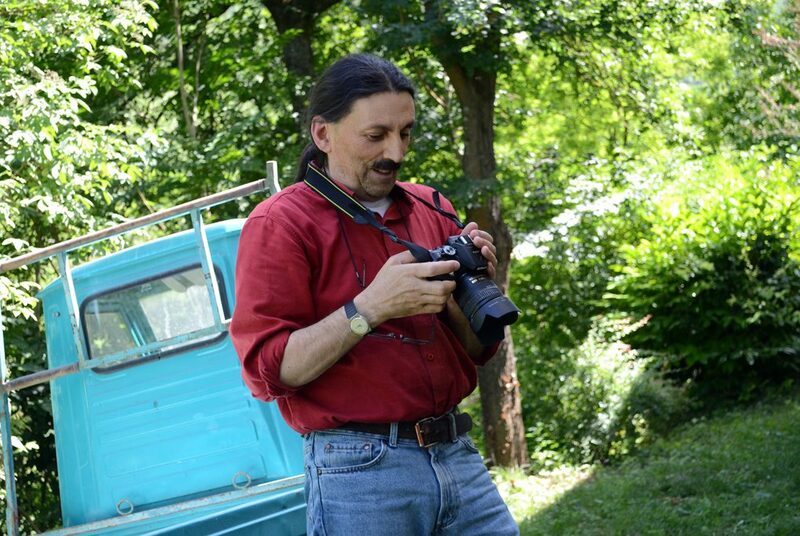 He does not create typical family photos; his work is destined for galleries around the world. His models are typically artists. They use his photos to express emotions and parts of their personalities that only he can capture. As an artist, he says, his ultimate goal is to “educate the soul beyond the look.” He strives to reveal the inner beauty and the peculiar in everyday things. Flory sees the emotions and rawness of each model through the lens of his camera. His photographs tell a story that the audience must discover.